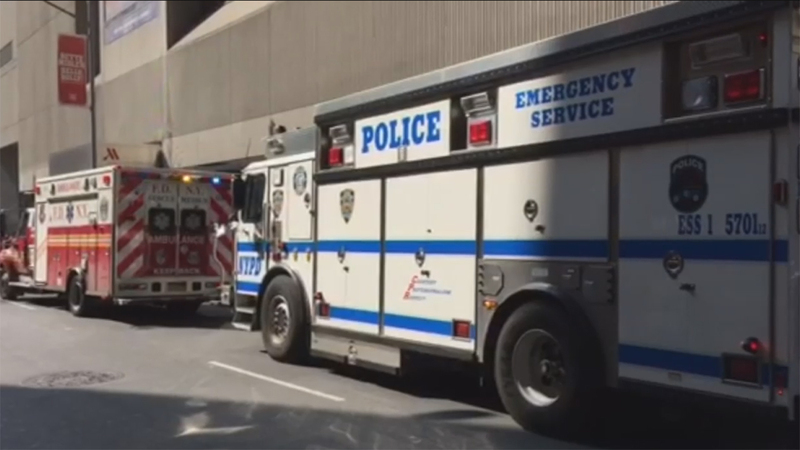 TIMES SQUARE, Manhattan (WABC) -- Authorities are investigating the death of a man at the Marriott Marquis in Times Square Thursday afternoon. It happened at 3:45 p.m. at 1535 Broadway. The 28-year-old man fell from the 8th floor down an elevator shaft and landed in the basement, where he was pronounced dead. Police and the Buildings Department are investigating, and suicide is suspected.